Update: Amazon has now put the price of its watch back up, but it's still cheaper than the price you'll often find it for. The brown version is now £138.99, while the black sport version is still £139.99. 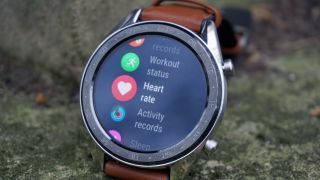 Original story: Huawei is continuing to make smartwatches despite turning its back on Wear OS, and so far we've seen the Huawei Watch GT. It features an impressive battery life as well as lots of fitness features, and while it may have been an affordable device from day one, this makes it a much more attractive deal. On Amazon, you can buy the watch for £109.99. Strangely, that's for the more expensive version of the watch – often referred to as the 'Classic' – which cost around £210 at launch. We've previously seen the price drop as low as £140 for this model, but this is the first time it has ever been this close to the £100 mark. This is only for the brown leather version of the watch. If you want the black version – that's the one Huawei often calls the 'Sport' – you'll be spending a bit more at £139.99. Considering this device was £200 when it launched last year, this is still quite a hefty discount. We don't currently know when this deal is set to finish, but it may last until Friday April 15 when Amazon's big summer sale finishes. Be warned though: the deal could disappear at any time before that.